UPDATE: our Blogger to WordPress comment import plugin has been temporarily disabled while we make some backend changes. The plugin will be available again once we’re done. Sorry for the inconvenience. Thanks for your patience! I’ve received a lot of emails lately from IntenseDebate users interested in moving their blog from Blogger to WordPress, along with their IntenseDebate comments. Moving your IntenseDebate comments from one blog platform to another may seem like a simple task, but the changes in post ID and URL structures can lead to some difficulties. 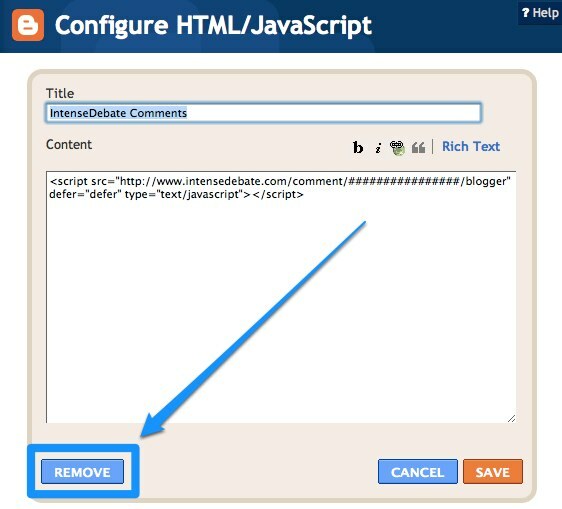 Luckily our good buddy and fellow Boulderite, Josh Fraser, wrote an excellent plugin for moving your IntenseDebate comments from Blogger to WordPress. Josh’s plugin has been around for some time now (over a year!) and it’s been tested pretty thoroughly – so far it has performed flawlessly (a testament of Josh’s coding wizardry). So, if you’re planning on moving from Blogger to WordPress, you can download Josh’s Blogspot2WP plugin. You’ll need to install it the old-fashioned way, via your FTP client, and drop it in your WP-Content → Plugins folder. Make sure you install, activate, and run the Blogspot2WP plugin before you install the IntenseDebate WordPress plugin. Give us a shout at support@intensedebate.com with any questions. Please note: IntenseDebate is and will always be platform agnostic, and will always be available for use with any CMS and blog platform. Making the transition is pretty painless thanks to the Blogger importer built-in to the WordPress core. You can use the importer to transfer all of your Blogger posts, native Blogger comments, and users. The importer is available in your WordPress admin panel under Tools → Import → Blogger. You can learn more about importing in the WordPress Codex.